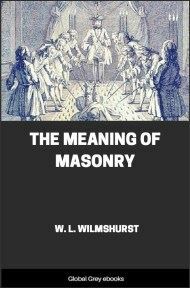 THE third degree in Freemasonry is termed the Sublime Degree and the title is truly justified. Even in its exoteric aspect its simple, yet dramatic, power must leave a lasting impression on the mind of every Candidate its esoteric meaning contains some of the most profound spiritual instruction which it is possible to obtain to-day. Even the average man, who entered The Craft with little realization of its real antiquity and with the solemnity of this, its greatest degree. Those of our Brethren who have read the previous two books of this series will not need much help in understanding the significance of the questions which are put to the Candidate. before being raised. Practically every question has been dealt with in detail in the previous books; the majority of them are taken from incidents in the Lectures and Tracing Board, and since the latter was explained at some length we shall not now detain our readers long. The manner of preparation for the second degree stressed the masculine side, which is characteristic of it. The admission on a S. indicated that the Candidate. had profited by the moral training received in the First degree, and that his conduct had always been on the S.. There is, however a deep esoteric meaning in the apparent platitude that it is the fourth part of a circle. Among all the ancient nations the circle is a symbol of God the Infinite, Whose name we discovered in the second degree in the M.Ch., where we leamt that it consisted of four letters. Thus the Candidate. was admitted on one letter of the Mystic Name, and if the four Sq.s are united with the circle in a peculiar way they form the cosmic cross, emblem of matter, within the circle of the Infinite. We have in the last book considered at such length what is implied by the words "Hidden mysteries of nature and science,” that we need here only refer our readers to that section, wherein we saw that in former times these hidden mysteries undoubtedly referred to certain occult powers, which would be dangerous if acquired by a man who had not proved himself to be of the highest moral character. The "wages" we receive consist of the power to comprehend the nature of God, Who resides in the M.Ch. 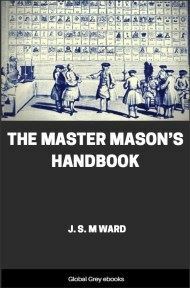 of the Soul of every Mason. The F.C. receives his wages without scruple or diffidence because the Spiritual benefit he receives from Freemasonry is in exact proportion to his desire, and ability, to comprehend its inner meaning. He cannot receive either more or less than he has earned, for if he has not understood the profound lesson of the Divinity within him, naturally he cannot benefit there from. His employers are the Divine Trinity, of Whom Justice is one of the outstanding attributes. God could not be unjust and remain God. This conception is almost a platitude, but the average man, while realizing that God will not withhold any reward earned, is at times apt to assume that because God is love He will reward us more than we deserve. This is clearly a mistake, for God could not be partial without ceasing to be God, therefore the F.C. receives exactly the Spiritual wages he has earned, and neither more nor less, but some F.C. 's will nevertheless obtain a greater reward than others, because spiritually they have earned it. 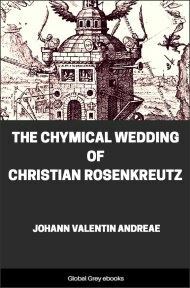 The significance of the names of the P....rs was explained in the last book, but in view of the nature of the third degree it seems advisable to point out once more that their secret Kabalistic meaning is (1) Being fortified by every moral virtue, (2) you are now properly prepared, (3) to undergo that last and greatest trial which fits you to become a M M.. Thus we see that even the w..ds of the preceding degrees lead up to this, the last and greatest. As in the former case, the remark of the W.M. that he will put other questions if desired indicates the possibility of members of the Lodge asking questions based on the Lectures of the Second Degree, or even on the Tracing Board. It is, indeed, a pity that this right is practically never exercised. For example, a particularly appropriate question would be "What was the name of the man who cast the two great p....rs ? " 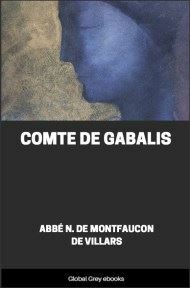 As it is, the Candidate. in a dramatic way represents the closing incidents in the life of this great man, whose importance till then he has hardly had any opportunity of realizing. Having answered these test questions, the candidate. is again entrusted with a P.W., etc., to enable him to enter the Lodge after it has been raised to the Third degree during this temporary absence. 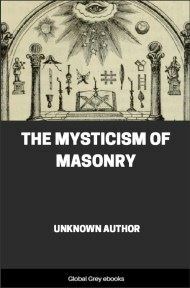 We have in the previous book explained that the raising of a Lodge should alter the vibrations of those present by a process well recognized in the ceremonies of Magic, and, to enable the Candidate. quickly to become in time with these higher spiritual vibrations, a word of "power" is given him, which in a moment places him on the same plane as the other members of the Lodge. This word he has to give, not only outside the d....r of the Lodge, but also immediately before his presentation by the S.W. as "Properly prepared to be raised to the Third Degree." It is only after this has been done that the real ceremony of the Third Degree, so far as the c. is concerned, begins, and therefore that the full force of the vibrations of the M.M. s come into play. The P.W. itself is of the greatest significance, more especially when combined with the P.W. leading from the First to the Second degree. At one time the P.W. 's were reversed. T.C. being the W. leading to the Second, and Sh... . the W. leading to the Third. This is still the case in those foreign Grand Lodges, such as the Dutch and the French, which derive from us before 1740, when the W.s were altered owing to certain un-authorized revelations. 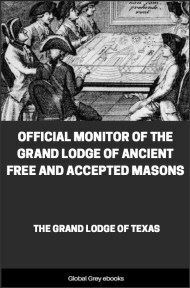 This alteration was one of the just grievances which brought about the secession of the so-called "Ancients," who charged Grand Lodge with altering the Ancient Landmarks. When the Irish followed our example they continued the prohibition of the introduction of m..ls until the Third degree, which is a logical procedure, for clearly you have no right to bring them into Lodge until you have been symbolically introduced to the first artificer in that material. As the W.s now stand they convey the following spiritual lesson:- the F.C. is one who finds the simple necessities of life, such as C. and W., sufficient for his requirements. They are plenty to the spiritually minded man, whose soul becomes clogged and hampered by the acquisition of worldly possessions and since it is hard for a rich man to enter the Kingdom of Heaven, immodesty the Candidate. has symbolically received W.P. he is Sl....n.